The future of workplace health assessments is looking much more precise, with insurance companies beginning to recognise a revolutionary medical aid, the ViSafe. Melbourne-based company DorsaVi is a specialist in body movement technology, and was founded in 2000 by physiotherapists Andrew and Dan Ronchi. Since 2008 DorsaVi has been producing wireless sensors that are capable of measuring range of motion, and muscle impulses in the body, through the use of biomechanical and electrophysiological technology. The sensors are stuck to the wearer’s body (usually along the spine) with sticky pads, and use accelerometers to measure the movement of the body in relation to the other sensors. The sensors wirelessly feed information in real time back to an ordinary computer terminal or tablet, where the results can be immediately viewed by a clinician and their patient, a researcher and their subject, or a workplace assessor and an employee. 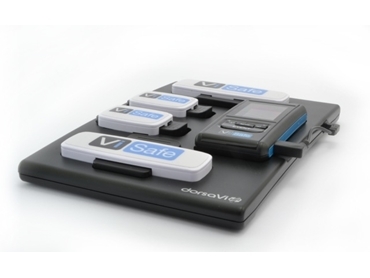 There are several products with specific uses: The ViMove is for clinical assessment, ViPerform for sports development and therapy, and the ViSafe is aimed at the OH&S market. The software for each product is continually upgraded to provide new components for different types of measurement and assessment, and the latest upgrade has been aimed at golfers, to analyse their movements and the risk of potential injury. Of course, for industrial application the ViSafe is without parallel. It enables a doctor or physiotherapist to accurately quantify an employee’s (or a prospective employee’s) range of movement. ViSafe can tell you in a quantifiable way how far a worker can bend over, in degrees. This kind of ability to measure bodily movement can allow employers to screen employees at pre-employment medicals, and record to the degree their full range of movement. Pre-existing injuries can become immediately apparent, and the data can be kept to compare with testing after a workplace injury, not only for legal reasons, but to facilitate the rehabilitation of injured workers and their reintegration back into the workfront on suitable duties, in precisely the same was that professional sportspeople can measure their movements and review the information to refine their technical skills. The ViSafe system can also be worn by a worker while performing duties, to assess the safety of performing particular tasks, such as work in a confined space or lifting objects of a certain weight or shape. ViSafe is currently used by a number of large employers to assess the ergonomics of different tasks, such as Crown Casino, Coles, Woolworths, Toyota, Toll, and BHP Billiton. In fact, the basic formula for the systems was developed initially for sports physiotherapy and development, with DorsaVi founders Andrew and Dan Ronchi counting AFL teams among their clients. With workplace injuries costing the Australian taxpayers billions, it’s little wonder that these devices have captured the attention of the workplace insurance market. In late march DorsaVi announced a new alliance with insurer Allianz, which from now on will recommend the use of the ViSafe in Australian workplaces. DorsaVi CEO and founding partner Andrew Ronchi said the alliance was part of the company’s strategy, to form key partnerships with insurers to build on the their market in occupational health and safety and help build the Dorsavi’s revenue. “ViSafe offers unique insights as to where higher risk areas exist in occupational environments,” he said. Allianz general manager Norm Cockerell said they were very pleased to recommend such a groundbreaking product for use in the workplace to improve safety and reduce injuries. “This is clearly good for workers but there are also significant benefits in reducing the economic impact of workplace injury on employers and the broader community,” he said. He indicated that if the device is able to reduce workplace incidents, then employers will make fewer claims on insurers, enabling to manage their insurance premium costs. According to Safe Work Australia there were 132,570 worker compensation claims for serious injury or illness in 2011-2013, with 20 per cent of those claims involving back injuries, 42.4 per cent involving sprains and strains, and 13.7 per cent for musculoskeletal disorders. In 2008-2009 workplace injuries cost the taxpayer $60.6 billion, representing 4.8 per cent of the nation’s GDP at the time. At Prominent Hill in South Australia the ViSafe has provided some fresh perspective on manual handling. Byrnecut Australia safety manager had the charge crew at Prominent Hill tested during surface work, and was able to identify some key risks to the physical health of the workers. “That was quite interesting, because the utes have big boxes on the back that you load the explosives into, and it’s just above waist high so it picked up quite a bit of strain as they [workers] were lifting the boxes up,” Wilson said. Wilson said that the ViSafe is very useful for identifying areas in a manufacturing or industrial environment where machinery could be modified to better suit the ergonomics for workers, but the biggest advantage for miners was in enabling education of the workers to improve their manual handling practices. “They are very useful for identifying bad work practices and manual handling techniques, that’s where a big benefit is, being able to show the bloke what they’re doing in a highly physical environment. Physiotherapist Danny Redrup has been using the ViMove device to assess and treat patients since 2008. “This was something that really excited us when it first came out,” he said. Redrup said that while the device is not a replacement for a physiotherapist, the device has benefits that extend to outside of the clinic, and the ordinary sight of a physio. The ViMove and ViSafe sensors can be programmed to monitor the wearer for undesirable movement or posture, and warn them if they begin to fall into debilitating habits. “It has alarms that can remind the wearer about health risks,” Redrup said. “Say you’re driving a truck for eight hours today and you really shouldn’t sit in a slumped position. “We can set the device to recognise if you’re in a slumped sitting position, and if you start to slump and you go into that position for more than ten seconds, the machine will start beeping and it’s going to remind you. “It will also give an overall report once you’re finished, when you bring back the device we can download the information and see, for example, that if your discs don’t like static inflexion, it takes seven hours to recover from two hours of sitting, in regards to a disc, and that sort of data is invaluable when making assessments. DorsaVi has recently announced their half-year financial result, recording revenues of $387,127 for the second half of 2013, with a net loss after tax of $1.07 million. The company achieved public listing in December, putting up an initial public offering which was over-subscribed at $18 million, and on December 31 DorsaVi recorded a cash balance of $16.63 million.